Children in Jersey with Special Educational Needs (SEN) will benefit from extra opportunities to participate in sport and get active, thanks to £20,000 of funding from the Sir James Knott Trust. The sponsorship means Jersey Sport can provide a specific “Support for Physical Learning” coach in the island, focussing on students who require additional provision for their social, emotional and physical wellbeing. The sessions are delivered through the principles of martial arts with relaxation techniques, breathing and behaviour management all taught. Some children will benefit from one-to-one coaching while others will take part in small groups, with the sessions taking place during and after school. 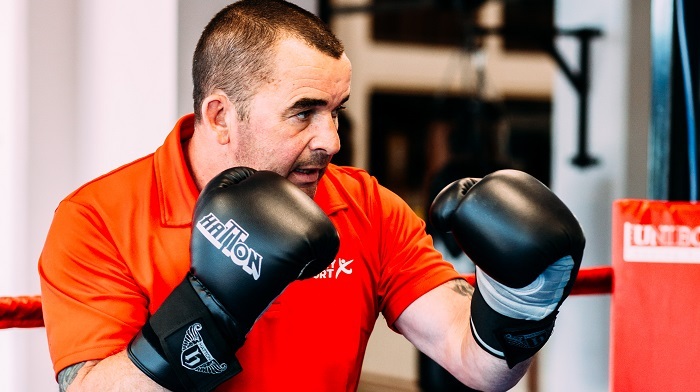 Former British Kickboxing champion Mick McCue (pictured) will be taking on the role officially, having already carried out some aspects of the work delivering about 25 sessions a week as part of a wider P.E. and Community Coach role. School teachers and agencies such as the police, children’s services and Brighter Futures will be able to recommend children for the sessions.